Celestial finds from inspiring Etsy sellers. I’ve created a treasury of celestial themed finds on Etsy. Not so many years ago, I was an avid treasury creator on Etsy. I loved curating finds that looked beautiful together and coalesced around a certain theme. It was a great way to find other hand made businesses and artisans and support each other. At one time Etsy used these as the front page, and there was a feeling of community in these shared collections. At some point Etsy did away with treasury making as well as a maker/user curated front page. I miss those days. I also miss being a shopper on Etsy. I find that if I don’t have a specific handmade shop in mind as a destination, I no longer browse Etsy. I set myself the task of browsing and curating, just to see what would happen. I started with Buckleberry Ferry’s star map embroidery as I just loved it– and built the collection around that. Though it was harder to find hand-made items from small makers, and this was discouraging, I persisted. I was rewarded by seeing a lot of inspiring handmade businesses to celebrate. I also tried to prioritise European sellers as well. I hope you find something to love in this “list”. 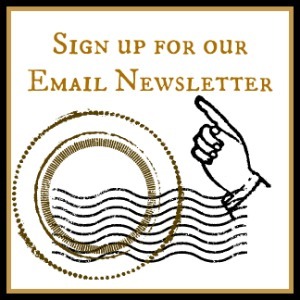 Do you make Etsy lists (treasuries)? Comment with a link! Only So Many Hands: My Thoughts on Etsy’s IPO. 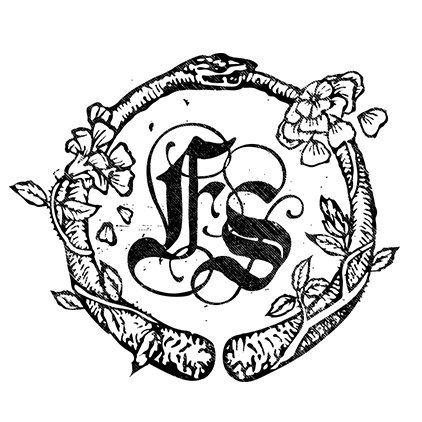 March 31, 2015 March 31, 2015 by Feral StrumpetLeave a Comment on Only So Many Hands: My Thoughts on Etsy’s IPO. 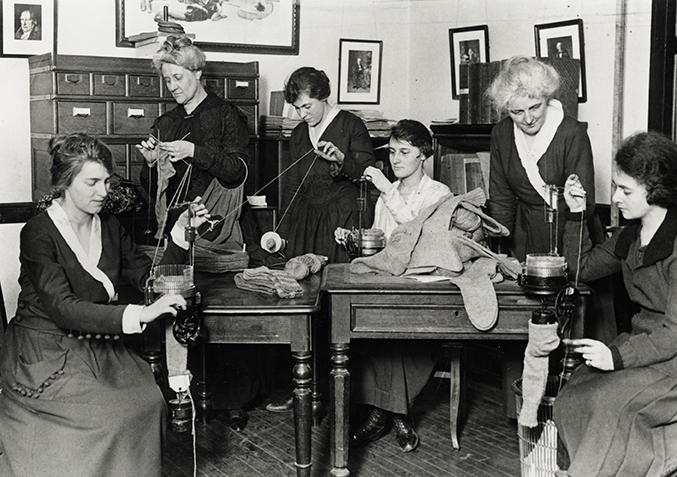 Women knitting socks during WWI. Handmade still matters. Etsy’s IPO happened this month- this is not news. With damning headlines like “Etsy files for Handcrafted IPO,” I’d like to say I was prepared for this. For the last 3 years this transformation of Etsy has been looming. As a seller what does this mean for me? What will I do? I’ve written this blog post hundreds of times in my head, trying to make sense of it before committing it to cyberspace. It was procrastination born of a sad heart. Many sellers have already left Etsy– I have been slow to make that decision because I have so many wonderful, loyal customers who simply prefer to shop on Etsy, but I feel I can no longer go on selling happily there. Luckily, I have built an independent shop to replace my Etsy shop– first on Indiemade and now on Shopify, which I’m much happier with than the Etsy platform. 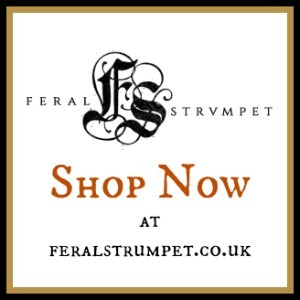 You can see my independent shop at http://feralstrumpet.co.uk. 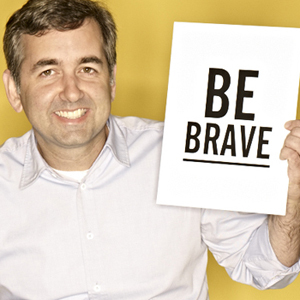 Chad Dickerson, Etsy’s CEO. Thanks, Chad. I will. Etsy’s initial public offering corresponds with my Etsy shop’s fourth birthday. Four years is a long time to work at something– it’s BA degree, a wacky high school journey. An elephant could have two really cute babies in that time. Those four years were ones of empowerment, creativity, cashflow and community. 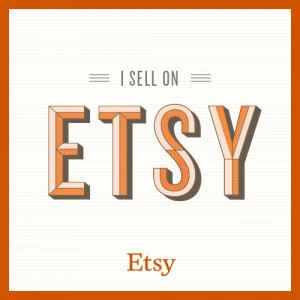 I grew from a hobbyist working on my kitchen table to one of Etsy’s “power sellers”. When I look back at the countless treasuries on Etsy I made featuring the products of other sellers, I realize what an inspiring place it once was for me and I happily gave back to the seller’s community that continually gave to me. I’ve coached myriad newbie sellers during the Holiday Bootcamp sessions. Other wonderful sellers have included me in their treasuries, and have been incredibly supportive team mates– especially the Folk Reveries Team. We traded notes and ideas, ways to make Etsy work for us. The seller community was real and powerful and the vast majority of members were women. The people who will be making decisions about Etsy will not be these women. The investors who buy into this are thinking about tech stocks being hot right now, not about who really made Etsy what it is today. A handful of wealthy people (men, I venture) will become even richer through this. Why does this bother me so much? Isn’t this the way the world of business always works? I’ve written about it before– back in 2012 I discussed the seller protest questioning Etsy’s acceptance of factory made goods, Protesty. Again in 2013 when Etsy allowed manufacturers and drop shipping in the marketplace, I posted The Future of Etsy. Last year I wrote, A Year After the Changes at Etsy, It’s Worse Than We Thought, explaining how the changes have affected me as a seller and buyer. Part of the problem is that many of the sellers on Etsy are like me, working hard at making things and balancing our books, managing to be profitable despite all odds. We think practically and literally about money. All this seems old fashioned and two dimensional in the topsy-turvy world of investment, where being unprofitable can still make you money and lots of it and where making money and growing are prioritized above all else. Etsy as a company still hasn’t turned a profit. Last year its net losses were $15.2 million, more than 15 times greater than its losses in 2o13. In its filing it even admits, “Our new offerings also may bring us more directly into competition with companies that are better established or have greater resources than we do..” (Read more at Market Watch) Already, the Etsy search function turns up countless listings for factory-made goods identical to those found on Amazon and Ebay, often from the same sellers that use those platforms in volume. The individual, genuine artisan is drowned out and the shopper is overwhelmed with the exact products they were trying to avoid. An unprofitable company whose changes have made it a redundant online marketplace can still go public with a 100 million dollar offering. Of course this wouldn’t make sense to someone like me who is actually trying to run a handmade business. Tech crunch gets detailed about the IPO an explains, “In this regard, Etsy is outright compelling. Historically it has spent 40-70 percent less [on marketing] on a percentage basis than their competitors, while realizing similar, if not greater, growth rates than other marketplaces.” Guess why? The sellers, the visionary single moms, creative living-room risk-takers, the blister-fingered craftspeople did the legwork, got the word out on behalf of their shops and their fellow sellers. Etsy didn’t have to spend a dime. Etsy introduced an ad in the UK in 2014, perhaps as an experiment? It was too little, too late. It’s ironic that my last blog post gave 5 reason to bail on the day job culture, the first on being the ability to be The CEO of your life. I talked about my past life processing expense reports for Goldman Sachs and realizing how perverse it was that I was now chained to someone else’s priorities to make money no matter what, to grow like some malignancy that uses up everything in its path. Now, Goldman Sachs has underwritten Etsy’s IPO. I simply can no longer pretend this isn’t going to affect me. Sometimes you have to be bold, and make choices based on what is right, what you feel in your gut. As the CEO of my own life, I get to decide what my business stands for, and who I answer to. I read my horoscope on March 20th– it was the Spring Equinox, power charged with a full eclipse and a super moon. I look to Rob Brezsny, in times like this as on the whole I don’t believe in horoscopes, but I believe in him. I’d just returned from the Arctic Circle where I was caught in a storm at sea, had a drink in an Ice Hotel and went to the place of my ancestors in Lofoten. During that time away from my shop I made peace with being small and making changes so I can still feel good about what I do. Rob, as usual, was spot on. Huffington Post has an interesting article about how to make seller’s happy– I’m cynical enough to think Etsy won’t be instituting these changes any time soon. I think years ago they stopped seeing sellers for who they really were, and wanted to court a new kind of mega-sellers who weren’t makers at all. Alex Moazed writes, “…the company’s culture and value proposition places a natural limit on its growth. There are only but so many hands to make and sell handmade goods.” Maybe that’s the issue. I am OK being small. I am good with my two hands, making things one at a time without interns or a factory. And this way of working is good to me. That’s enough. Hare and Moon Knitting Stitch Marker Necklace. During March many UK Etsy sellers, myself included, will be celebrating Spring by offering FREE SHIPPING on orders over £15 to UK addresses. Use coupon code FREEMARCH13 at checkout to receive free shipping. Offer good only on UK addresses. (Can not be used on reserve or custom listings and can’t be used retroactively.) Check out other shops offering this discount. This weekend my shop turns two. It’s been a fascinating journey from just making pretty things to actually making business decisions, big and small, every day. Thinking like a businesswoman has been the most alien and difficult part of running the business, and if it weren’t for the steady stream of gleeful squeeing and heartfelt conversations from repeat customers, I don’t know if I could have done it. In two years I’ve gone from selling off my refurbished vintage collection to actually making a living– this is the best job I’ve ever had. Not just income wise, but in its joyful freedom and deep meaning. Thanks to all who have come with me on this journey, to every order and encouraging message! Here’s to another happy year!